(SPOT.ph) Halloween is the perfect excuse to binge-watch your favorite scary movies, so why not throw in a Filipino horror flick or two? 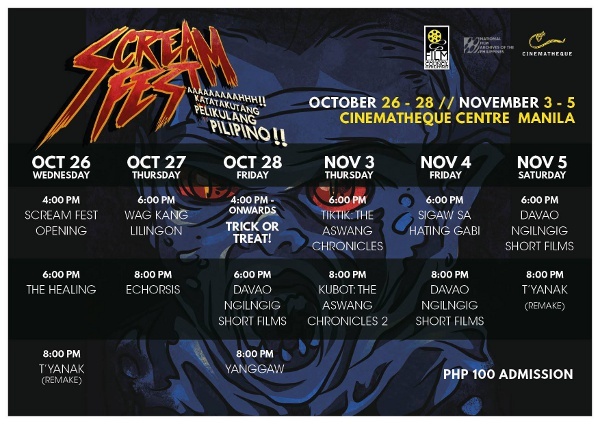 Head to Cinematheque Centre Manila from October 28 to November 5 and catch some of the creepiest and most memorable Filipino horror films (below). The roster includes Yanggaw by Richard Somes, the Aswang Chronicles franchise by Erik Matti, and T'yanak by Peque Gallaga and Lore Reyes. Best of all, you only need to shell out P100 a ticket! If that's not enough for you, Cinema '76 is also hosting their own Halloween screenings until October 31 with awesome films like Lila, Silong, Dementia, and Puti. 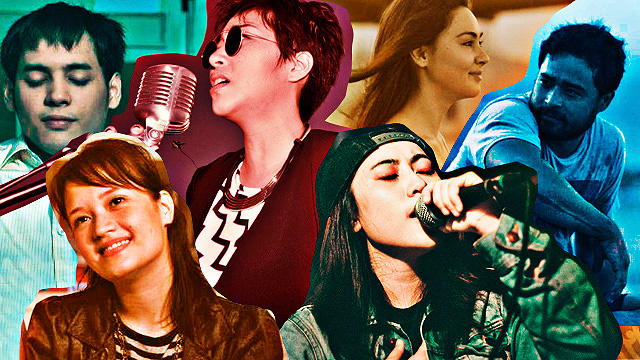 Tickets are at P150, but you can score two screenings at just P250. For more information, log on to Cinematheque Centre Manila's Facebook page and Cinema '76 Film Society's Facebook page.